Geilo is Norways best known winter sport destination. Located in the long Hallingdalen valley, it is the gateway to Hardangervidda, the large central mountain plain and Geilo is one of several crossing points between the eastern and western part of Norway. In Geilo you may indulge in many different winter sport activities while staying in one of the many mountain resorts. We did very little winter sports, but why should we? Highland Hotel & Spa had so much more to offer. 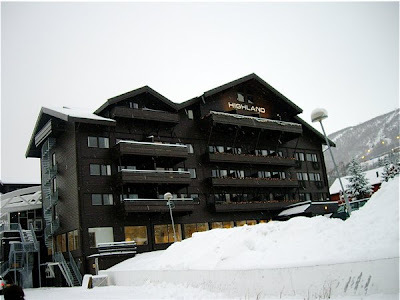 Highland Hotel & Spa is located in the centre of Geilo, just a short walk away from the railway station and just by the main road. As the centre is slightly up the side of the valley there is a view over the valley and the nearby hills and mountains. We were received by a nice professional staff at the reception and the staff in the restaurants and bars were equally service minded. I was given a ground level room 104. It was a very large bedroom (30 sq metres), and a medium sized bathroom. It had two very comfortable, separate beds, a small desk, and a small sofa, comfortable chair and a large coffee table were located by the window. There was enough storage space for two. It was pleasantly colour-coordinated and had been very recently been given a nice traditional redesign. 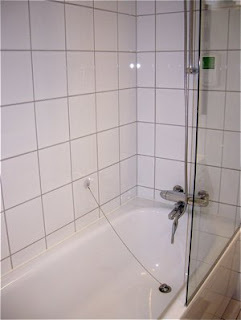 The bathroom had grey and white tiles, a bath tub (hooray). As both bed- and bathroom were new it was immaculately maintained and very well cleaned. The new carpet held the same high standard, in short - nothing to point your finger at. Highland Hotel & Spa offered a breakfast suitable for those planning a long day in the pistes, as well as those that wants to be pampered in the inhouse Spa or dip in the pool. There was a large selection of dishes at the breakfast buffet including warm breakfast including scrambled eggs, bacon, and cocktail sausages. Breads and pastries, a good selection of meats, cheese, and paté to fulfill everyone's needs, and for those that want a healthier start, cereal, yogurt, fruits, and juice, and good coffee and tea. Nothing to put your finger on here. 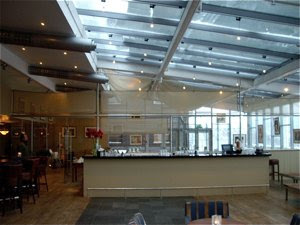 This hotel has a wide range of facilities for their guests, most free to use. There are a buffet restaurant, as well as Café Leo decorated with art of the renowned artist Edvard Munch and view to the mountains. In addition there is a branch of United Bakeries, renowned makers of artisan bread. Here you also find a nice bar and you may seek shelter in the adjacent library and enjoy your drink in a comfortable chair by the burning fire place. For the fitness fanatics that still have some energy to squeeze out after a day at the pistes, you may work out excess frustration in the fitness studio, followed by a relaxing spa treatment. This is not included in the price, and be well advised to book in advance. A cheaper alternative is to take a dip in the swimming pool followed by a visit to the Finnish sauna. There are a wireless network free to use for paying guests all over the hotel, but for those that has not brought their lap top an additional PC is available for guests in the reception area. 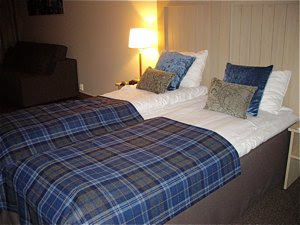 Higland Hotel & Spa has very recently been redecorated to a high standard. 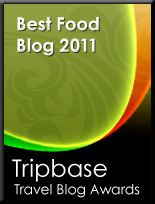 We recommend you to visit the hotel before the wear and tear set in. You may book the hotel with breakfast or with all meals included. Be aware that you pay per person and not per room. 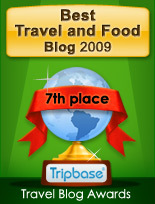 Prices go from under 800 NOK (100 EURO) up to 1700 NOK per person depending on the season and if you will have all meals. Highland Hotel & Spa is expensive, but at least you get value for money here. Recommended hotel to stay in the middle of Geilo city centre, close to the railway station, but beware - in spite of the high standard, you pay per person, and it may get expensive. If you look for a less pricey alternative, check other hotels in the neighborhood.